True success with affiliate marketing means two things: getting as many sales as possible, with offers that pay as much as possible. Sure, you can set up long-term residual income with 10-cent commissions, but why bother with those when you can get $50 a pop, or even more, depending on your niche? Who wants to make their living selling nails when you can make a living selling yachts? To that end, you want to invest in the highest paying affiliate networks out there. 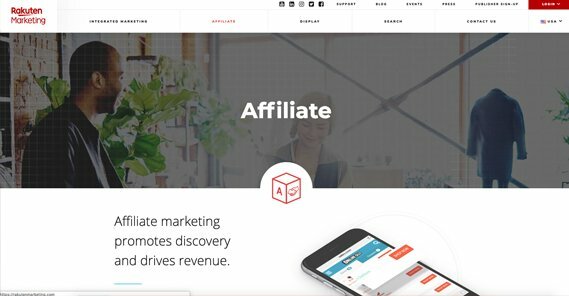 So what makes a high paying affiliate network? The offers give you a large commission. Okay, so there’s a bit more to it. See, a high paying affiliate network is only high paying as long as the wholesalers on the platform providing offers are willing to pay. That means they filter their list of publishers aggressively to weed out the low quality sites. They filter out low quality publishers. They filter out low quality advertisers. They enforce traffic quality standards to avoid spam and bot issues. Unfortunately, this also tends to mean that the highest paying affiliate networks aren’t open to newcomers to affiliate marketing. You need to apply, and you need to provide suitable traffic numbers for the network to think you’re worthwhile. Still, though, if you can meet their standards, these networks are good options to invest in for your residual income dreams. 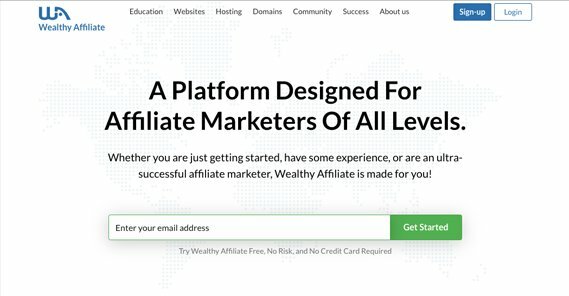 Wealthy Affiliate is a site for affiliate marketers to learn and grow their own businesses. They provide education ranging from e-books to live seminars, along with specific advice on everything from building a website to registering domains to setting up marketing funnels. Since your primary audience is other affiliate marketers, it’s easy to look at yourself, look at your own pain points and your own questions, and convert those questions into content to attract others like yourself. Since Wealthy Affiliate has a premium program you can register for, you can of course sell their product for them. The average commission per sign-up, according to their own marketing, is $121 or more. Plus, it’s residual, over the lifetime of the member you sign up. 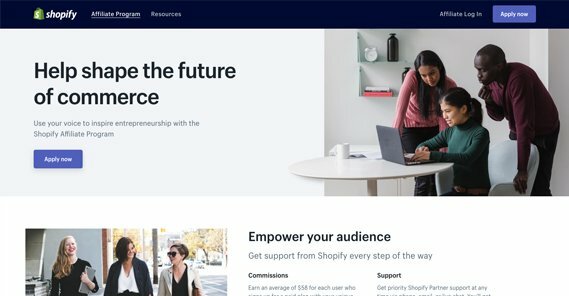 If you’ve ever looked into setting up an online business selling products, be it your own inventory or drop shipping, I guarantee you’ve seen Shopify mentioned as a great platform for your storefront. Indeed, I’ve recommended them myself a number of times. They’re an immensely popular platform; Black Friday had them processing half a million dollars in transactions per minute. Selling Shopify to people looking to set up their own businesses is practically free. Shopify values their affiliates. The average commission is $58 for paid plan users, but referring Plus-level enterprise customers is even better. You can earn up to $2,000 for a single referral for those high-value customers. Of course, your ability to refer enterprise-level customers may be limited. 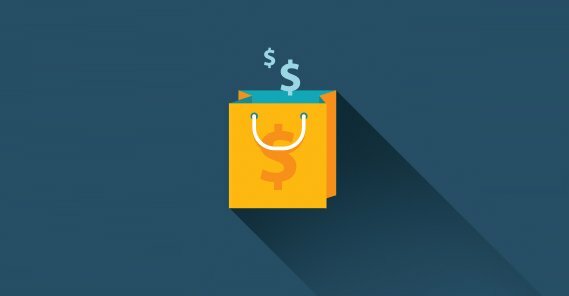 The real value of Shopify comes in the form of trust in the brand and its service; you’re not promoting some no-name business here, you’re promoting one of the best in the industry. One common thread you’ll see amongst the affiliate programs I mention here is trust. 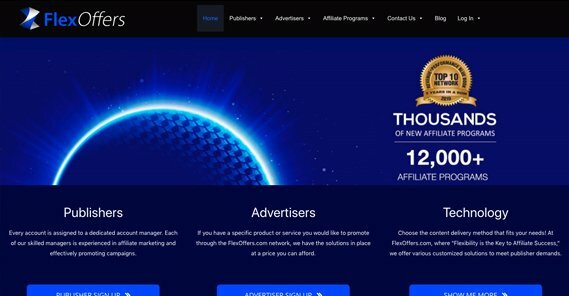 Many of the best affiliate programs are not going to be earning you a huge boost for every single commission; rather, since they’re trusted companies, you’ll earn high volumes of commissions and a moderate payment for each commission. 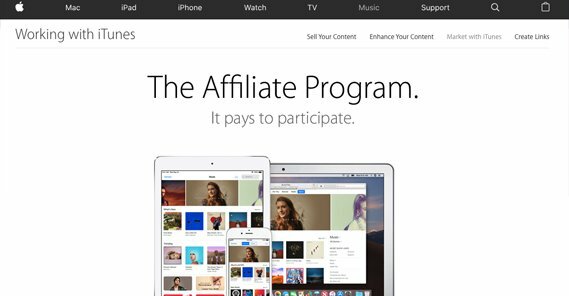 Apple’s iTunes is a good platform for affiliate promotion for two reasons. The first is the trust, as mentioned. The second is that, in addition to music and media, your affiliate commissions count for app sales and in-app purchases. Sure, you can earn a few cents per song when someone buys the new Kanye album, but hook a whale on a new Gacha game and, well, imagine earning a commission from this guy’s purchases. If all of that is nonsense to you, let me sum it up; this guy spent over $16,000 on a free-to-play Final Fantasy phone game in one year. 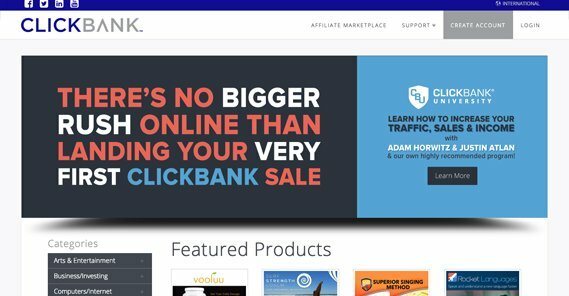 Clickbank is a large and trusted affiliate marketing marketplace. They have thousands of offers from thousands of companies looking to promote their products and willing to pay a commission. The drawback of using a marketplace rather than individual company offers is that the marketplace itself will be taking a cut, so your commissions are slightly lower on average than they would be with a company directly. On the other hand, you have a huge variety in your potential offers, and you have the quality control of the platform at your back. You know the affiliate will pay, and you know the traffic filtering will verify your sales are real. Depending on your niche and your marketing style, you can set yourself up to sell thousands of $2 products, or just a handful of $500 products every week. Where you find success is up to you, but both extremes and anything in between are viable with Clickbank. I guarantee you’ve encountered LiveChat while you’ve been browsing the internet before. Ever been on a website and seen that little messenger pop up in the corner, with a smiling customer service rep asking if you need help? When you click that, you’re connected to a real customer service agent who will help you with your issues and sell you on the site’s services. LiveChat is the app that powers that messenger. LiveChat may not be a high paying commission on an individual basis, but it has two benefits that offset that. First, you earn 20% on the payments the people you refer make, and second, it’s recurring. As long as your referred customers are still customers, you’re earning commissions. Given that some companies will use this app for years, or even indefinitely, it’s a great investment. Additionally, you can set up a reseller program instead of basic affiliate marketing. 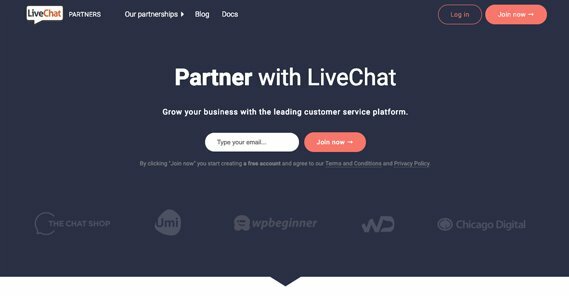 As a reseller, you buy licenses at a 20% discount from LiveChat, and can resell them for whatever level of markup you want. Usually that markup is back to normal price – to prevent people from circumventing you and buying from the source – but if you can get away with more, you’re free to try. 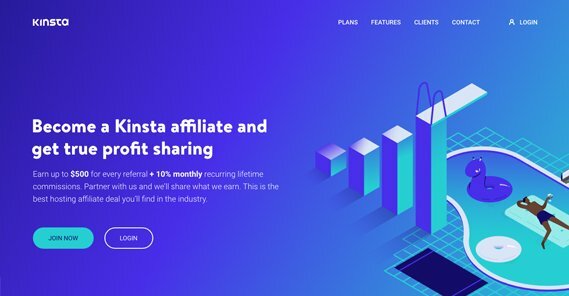 Kinsta is a web hosting company. Now, before you turn your nose up in disgust – I know, most web hosting affiliate programs are flooded with low quality referrals and thus pay a pittance – hear me out. Kinsta is at the top of the pack. They’re a very niche-focused kind of web host, their hosting is top quality, their service is very good, and their customer retention is excellent. In fact, their customer churn rate is an incredibly low 5%. Kinsta’s commissions give you anywhere from $50 to $500 up front based on the plan you refer. Then you get an additional 10% of the user’s payments for the lifetime of that user. Since most users end up sticking with Kinsta hosting for years on end, this is a very, very good position to be in. The niche, specifically, is WordPress hosting. Since WordPress is incredibly common and prevalent as a blogging platform, it’s an easy sell to get people to get optimized web hosting. 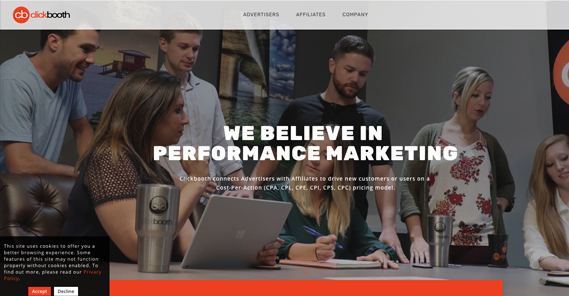 Matomy is another affiliate network, but it’s sort of an aggregate network, simply because part of their growth strategy over the years has been purchasing other affiliate networks. Matomy has purchased or acquired other networks and companies like Optimatic, Avenlo, MobFox, AdPerio, MediaWhiz, and more. It seems like they make one major acquisition a year, expanding their own services and making their affiliate commissions that much better. Mostly, the power of the Matomy platform is in flexibility, not in individual commissions. They have a lot to offer, so you can make a lot of commissions on a wide variety of interrelated products and services. FlexOffers is another affiliate network with a wide variety of programs to choose form. The thing is, of all of the other options on this list, they’re second only to something like Apple or Amazon in terms of sheer variety of offers you can pick, and that’s only if you consider every individual product on Amazon’s marketplace to be a separate offer. They have over 12,000 offers to choose from! FlexOffers is great not just because of their variety, but because of their support for marketers. They want you to be successful, to they assign you a dedicated account manager who can help you promote your campaigns. They even have an editorial team that can help you create content, if you want to lean on someone else. MThink maintains a broad analysis of affiliate programs and compiles an annual “blue book” of their relative ranks and values, similar to the famous car-based Kelley Blue Book. For two years in a row now, Clickbooth has been their #1 top ranked CPA affiliate network. What makes them stand out against their competitors? Primarily, they have taken a technologically driven approach to optimization, with a lot of innovative tools and techniques for optimization and campaign management. They’re backed by highly professional support and they refuse to leave their publishers hanging, earning them a great reputation as well. Rakuten is a Japanese company that has been firmly cemented to the #1 spot in the Blue Book for CPS affiliate marketing for seven straight years. 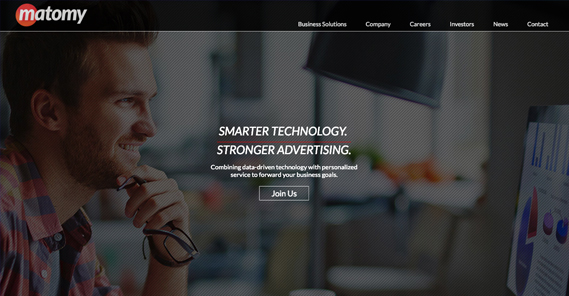 They’ve been dedicated to high quality service, excellent commissions, top-tier advertisers, and more. They’re extremely trustworthy as a platform from both angles, and rather than resting in the number one position, they’re constantly making improvements to their platform to keep their position. 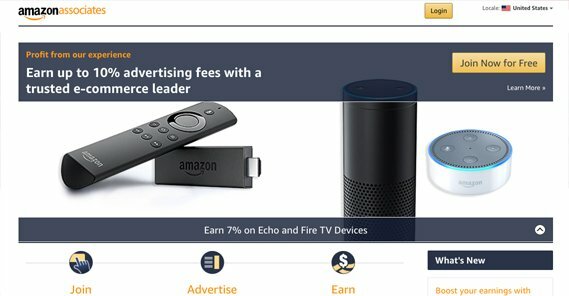 Amazon’s affiliate program, called Amazon Associates, it one of the most popular affiliate networks globally. Amazon, obviously, is a hugely trusted retailer, so you know you’re not going to have issues with fulfillment and customer satisfaction. On the other hand, Amazon affiliate payments are not necessarily very large. The average order value on Amazon is only like $50 or so, and you’re only making somewhere between 1% and 10% of the value of the order, depending on the item department. The real value in the Amazon program is in volume and flexibility. Anything a user purchases after clicking your link earns you a commission. You advertise a light bulb for $2 and the customer goes on to buy a $4,000 television, you’re getting a commission on the TV. It can add up to quite a lot over time. I’m a little hesitant to recommend this affiliate network for a few reasons. For one, while it can be considered highly paid, it’s paid in an unorthodox manner: rather than raw money, they send you payments towards a car lease. “Get your dream car” is their incentive, not pure money, so it’s strangely limited. Also, it requires getting 100+ active referrals, and maintaining that number, in exchange for $500 in monthly payments + the commission on each referred customer. The product is a platform for marketing and sales funnel management, the quality of which I have not personally verified. Frankly, the whole thing reeks of a pyramid scheme or MLM to me. If you can refer over 100 customers you’re getting an average of $40 per customer per month, plus the lease payment, which is not insignificant. On the other hand, you might get stuck with a car payment when your number of subscribers drops, leaving you with expenses you might not be comfortable handling. Just exercise plenty of caution with this one! Thanks Tilo! I don’t think so, just keep the networks varied and diversity niches. It may help to be on different hosts/IPs as well. Thanks for the article. After a lot of searching for affiliate programs for the healthiest cookware, I joined Miriams Earthen Cookware’s affiliate program. Like their pay structure, their service and best of all the unique and healthy products they sell. Goes well with my healthy cooking blogs. Carol…anyone jus starting out…really confused….searching for web host any suggestions . This was a really helpful list. I am going through each one of the links now. The information I’m finding is helping me understand what could work for each of my sites. Many thanks. Excellent writeup .But dont you think that webhosting affiliate market is too saturated nowadays? Thanks for sharing such a great post on Affiliate programs. It is clean and clear. Well done! 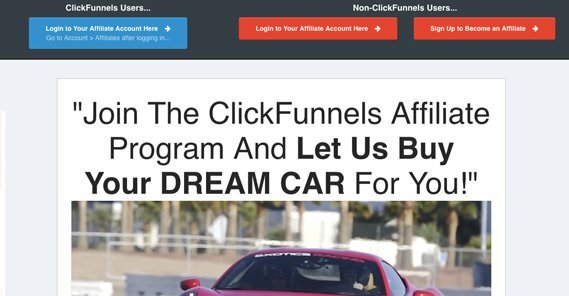 amazing article .Thanks for sharing such a great post on Affiliate programs.